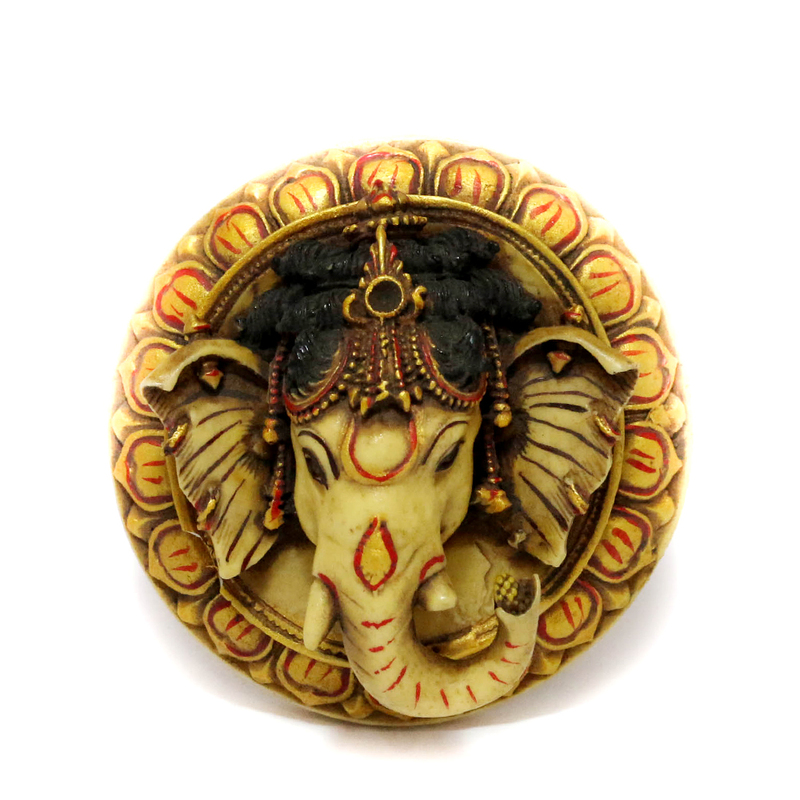 If you are a religious person or simply admire the strength of Ganesh, then this showpiece is something which you must have. This Ganesh wall Read More..hanging showpiece is white in color with golden-rim petals surrounding on all its sides. This showpiece simply illustrates the face of the idol. it will definitely help to spread calm and prosperity. Show Less..